To save lives, the U.S. should deploy a hospital ship off the Venezuelan coast. Doing so would also allow the Trump administration to show that its interests in Venezuela are ultimately humanitarian in nature. The first interest is clear. With basic medicines gone from Venezuelan hospital shelves, patients are now cared for simply by the best efforts of unequipped doctors. All but the wealthiest cancer patients can forget about treatment. Those with chronic diseases such as diabetes are being left to rot, and children are dying of starvation at record rates. This is what socialism and madman Nicolas Maduro have wrought in the nation with Earth’s largest proven oil reserves. 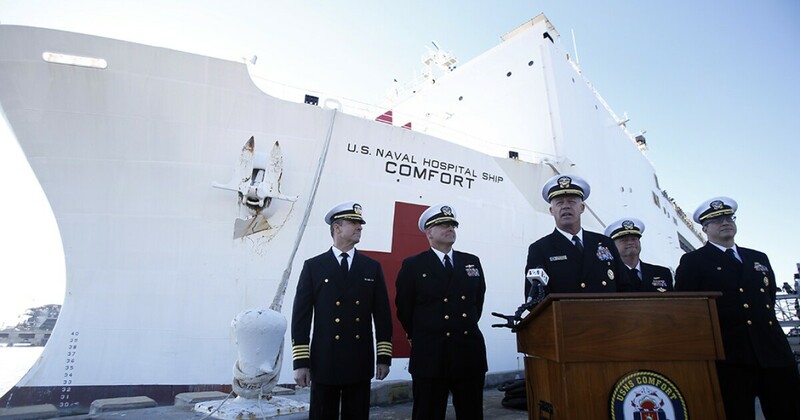 Either of America’s hospital ships, named Comfort and Mercy, could help limit Venezuela’s grotesque suffering. After all, each ship carries with it a surgical bay, medical reserve, and stockpiles of medicine. These means would allow the U.S. to provide Venezuelans with care to prevent the escalation of otherwise highly treatable diseases. The basics are the key here. Think about a dentist removing a rotting tooth before an infection enters the bloodstream. Or a doctor treating an infected wound with antibiotics. Or a nurse who provides injections against diseases. These are also basic needs that Venezuela’s health system can no longer fulfill. A hospital ship would also allow the Trump administration to send a message of clarity to the Venezuelan people. While most Venezuelans support U.S. assistance, some buy into propaganda from Nicolas Maduro’s regime that the U.S. is only interested in Venezuelan oil. Such a deployment would reinforce the moral narrative that Venezuelans have nothing to fear from America.